Dita bark (Alstonia scholaris) Complete detail. 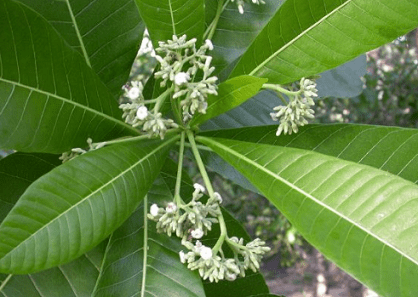 Medicinal uses of Dita bark (Alstonia scholaris) Saptaparni. Description of Dita bark (Alstonia scholaris) – Saptaparni. The milky juice of Alstonia scholaris has been applied to treat ulcers. Alstonia scholaris is an evergreen tropical tree, having grayish rough bark and milky sap rich in poisonous alkaloid. Local name of Alstonia scholaris is Dita bark, Chatian, Saptaparni. Distribution of Alstonia scholaris. Flowers are small, greenish white, many in umbellate panicles, corolla tube is short, very strongly scented. The inflorescence is a much-branched terminal panicle, up to 120 cm long; flowers 7-10 mm long white, cream or green, the tube hairy, lobes sparsely or densely pubescent, 1.5-4 mm long, the left margins overlapping, strongly perfumed. The fruits are thin pods that can grow up to 20 inches long. Fruits is made up of two slender follicles which are pendulous and cylindric follicles, 20 to 40 centimeters long, 4-5 millimeters in diameter. Seeds are 3 to 4 millimeters long, with brown ciliate hairs on the ends……………. The roots and bark are used in traditional medicine as an astringent tonic, alterative, antidiarrhoeaticum, antiperiodicum etc. The latex is used to clean wounds and can be used for chewing gum. The wood is too soft for making anything – so it is usually used in making packing boxes, blackboards etc. Alstonia scholaris tree has been used to make paper. Alstonia scholaris is a tree up to 80 ft. in height. Alstonia scholaris has rough, grey bark and large leaves that grow in clusters of seven. Alstonia scholaris is an evergreen tropical tree, having grayish rough bark and milky sap rich in poisonous alkaloid. Bark is grayish brown, rough, lenticellate abounding, bitter in taste secreting white milky latex. Branches are lenticellate. Leaves are 4-7 in a whorl, coriaceous, elliptic-oblong, 10 to 20 centimeters long, 3 to 4.5 centimeters wide, pointed at the base, rounded at the apex, glossy green on the upper surface, white or grayish on the underside. The tip of the leaf is rounded or shortly pointed, tapering towards the base. The boles of larger trees are strongly fluted to 10 m. The outer blaze is cream to yellowish in color with abundant, milky latex that flows rapidly when cut. Flowers are small, greenish white, many in umbellate panicles, corolla tube is short, very strongly scented. The inflorescence is a much-branched terminal panicle, up to 120 cm long; flowers 7-10 mm long white, cream or green, the tube hairy, lobes sparsely or densely pubescent, 1.5-4 mm long, the left margins overlapping, strongly perfumed. The fruits are thin pods that can grow up to 20 inches long. Fruits is made up of two slender follicles which are pendulous and cylindric follicles, 20 to 40 centimeters long, 4-5 millimeters in diameter. Seeds are 3 to 4 millimeters long, with brown ciliate hairs on the ends. 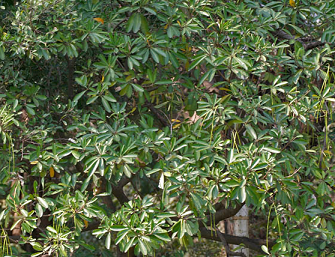 Alstonia scholaris found in India, Sri Lanka, Pakistan, Nepal, Thailand, Burma, Malaysia, South East Asia, Africa, Northern Australia, Solomon Islands, and Southern China. 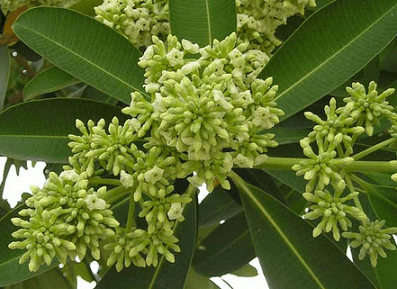 Alstonia scholaris has many medicinal properties like antimicrobial, antiamoebic, antidiarrheal, antihypertensive, antimalarial, febrifuge, stimulant, hepoprotective, immunomodulatory, anti-cancer, antiasthmatic, antioxidant, analgesic, anti-inflammatory, anti-fertility, anti-diabetic etc. Alstonia scholaris used in the treatment of fevers, chronic diarrhea, dysentery, ulcers, rheumatic pains, cancer, malarial etc. The ripe fruits of the plant are used in syphilis and epilepsy. 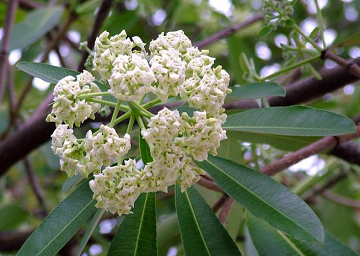 The milky juice of Alstonia scholaris has been applied to treat ulcers. The bark of the Alstonia scholaris is used in Ayurvedic medicine to treat fever, malaria, troubles in digestion, tumors, ulcers, asthma, and so forth. The leaves and the latex are applied externally to treat tumors. The bark and roots are boiled with rice and eaten by girls daily for several weeks to treat excessive vaginal discharge. 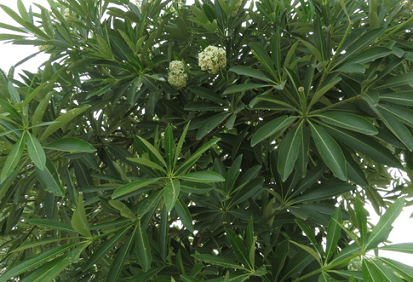 The dried leaves of the Alstonia scholaris are used as an expectorant. The roots and bark are used in traditional medicine as an anthelmintic, astringent tonic, alterative, antidiarrhoeaticum, antiperiodicum etc. The latex is used to clean wounds and can be used for chewing gum. 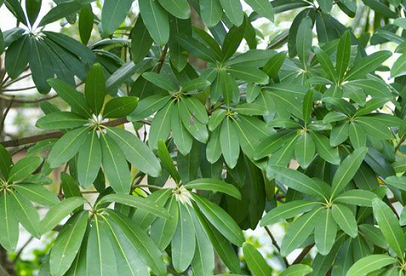 The leaves can be used to treat skin diseases. The wood is too soft for making anything – so it is usually used in making packing boxes, blackboards etc. Alstonia scholaris tree has been used to make paper.